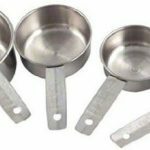 This measuring cup works for casual commercial measuring or home use. 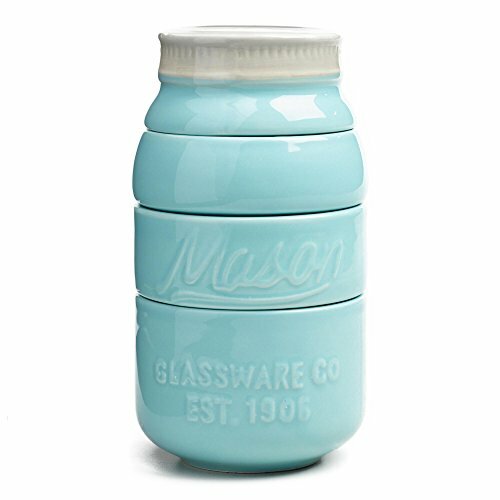 The cups are constructed from sturdy stainless steel with the measurements printed on the flat handle so that they will never wear off. The handles are also stainless steel and include a hole near the end so that they can be hung on hooks for convenience if desired. 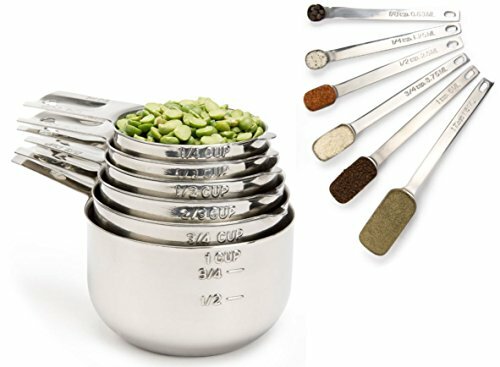 Virtually any combination of measurements can be made in baking and cooking. 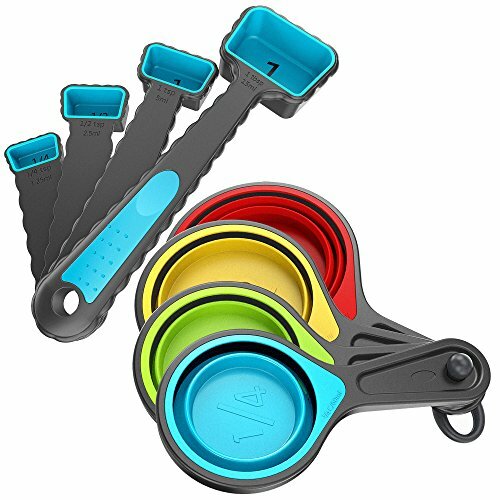 The set includes a 1/4 cup, 1/3 cup, 1/2 cup and 1 cup. 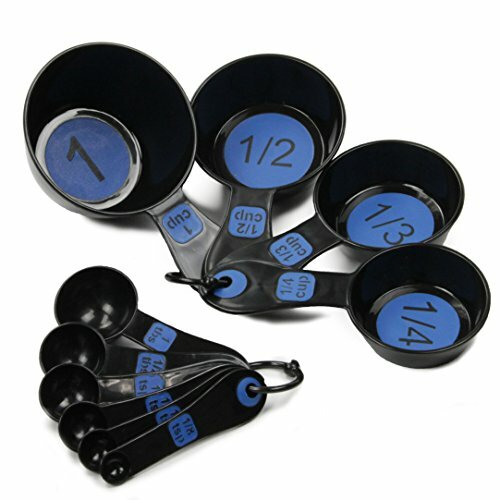 Measuring Cups and Measuring Spoons Set, Kaptron Collapsible Measuring Cups, 8 piece Measuring Tool engraved in Metric/US Measurements.